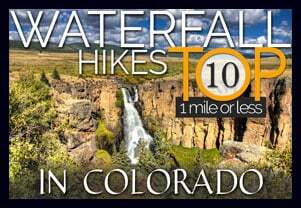 Chief Mountain is a 1.5-mile hike in the mountains just one hour outside of Denver, Colorado. The Chief Mountain trail travels through alpine forest, then breaks out into high-country tundra, eventually gaining panoramic views of surrounding mountains. Chief Mountain gives hikers an incredible vantage point to survey the changing colors of Fall spread out in 360 degrees below. 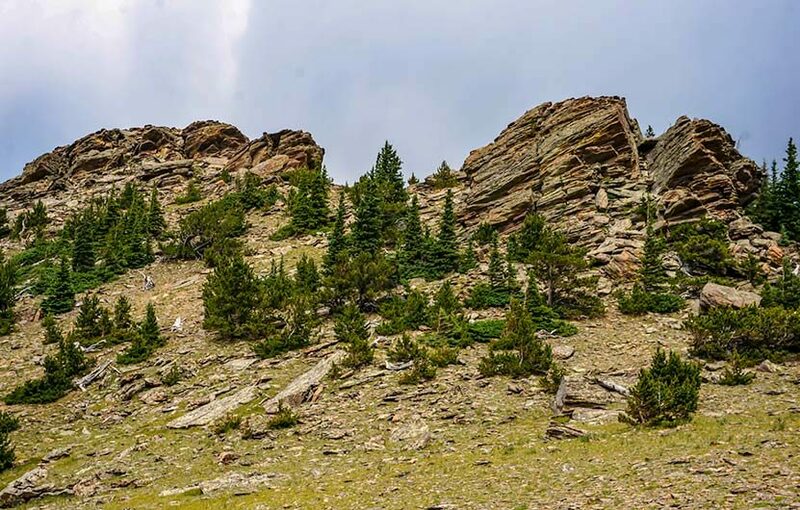 Explore the full Chief Mountain hike profile below for trail map, driving directions, and more tips and details to help you enjoy this adventure near Denver. From Denver, take Interstate 70 west to exit 252. This exit will funnel you onto CO-74/Evergreen Parkway headed West/Southwest for about 2 miles, where you’ll take a right onto Squaw Pass Road. Squaw Pass road is paved and climbs the mountain in a series of switchback for 10.4 miles. The trailhead is easy to miss. It’s a pull-out on the right-hand/North side of the road. It’s worth taking a look at the parking area using satellite view on Google maps before going. You’ll notice that the trail begins just a bit East of the parking area on the South side of the road. We’ve dropped the pin in the driving directions above at the location of the trailhead. As with all roads at this altitude, be sure to check conditions and closures before setting out. The Chief Mountain trail begins on the south side of Squaw Pass road. The trail starts out as a steep 1/4 mile segment that takes hikers through dense alpine forest to Old Squaw Pass Road. The trail is picked up again on the other side of the dirt road and marked by signage. The trail bends now along the base of Papoose Mountain and the dense forest gives way to scattered trees and eventually into high-country tundra. Colorado’s tundra ecosystems are incredibly fragile. Here the alpine flowers and lichens grow close to the ground in order to survive in the harsh winds and cold. Stay on maintained trails as it can literally take centuries for this alpine environment to recover from the damage inflicted upon it by foot traffic. The trail should be evident, but you’ll also find that it is marked by blaze marks on some of the trees. The trail becomes more demanding and steep. With each switchback new panoramas reveal distant snow-capped landscapes. Jagged rock formations grow in size as the trail gains elevation and makes its way closer to the summit. The views are incredible at the top (see photo below). 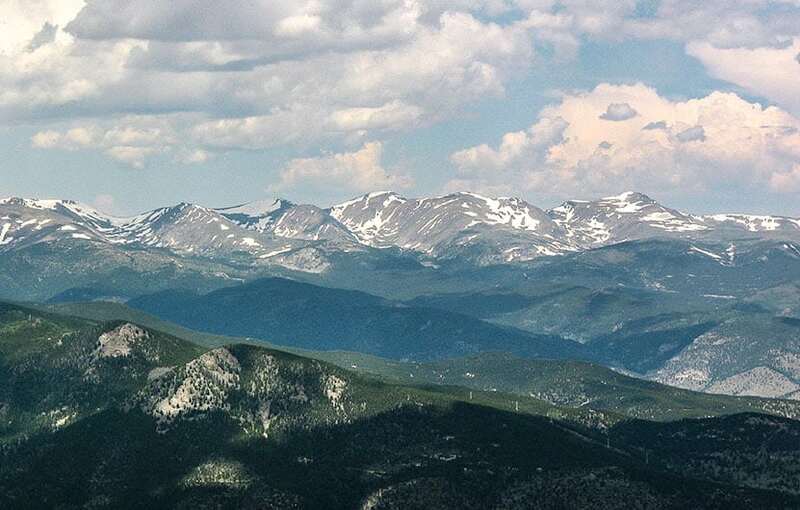 Mount Evans can be seen to the West and Squaw Mountain to the East. This is a great vantage point for taking in the changing aspens along the Front Range of Colorado. 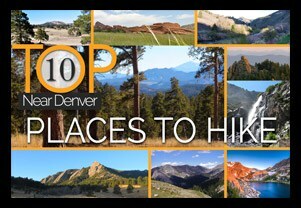 For more Fall Hikes, see our 25+ Hikes for Viewing the Changing Aspens in Colorado. 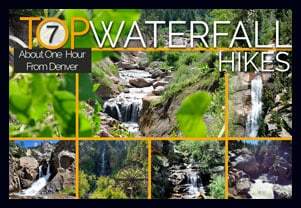 TIP: Because this hike is popular especially on summer weekends, get there early or do it during weekdays. Photo: We would like to express our gratitude to Rick Pawela and CL Baker for sharing photo of this hike on Chief Mountain.